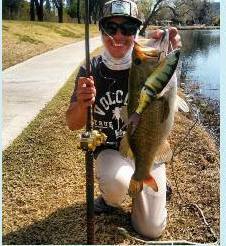 Carlos caught this bass out of Lake 1 on a DRT K9. 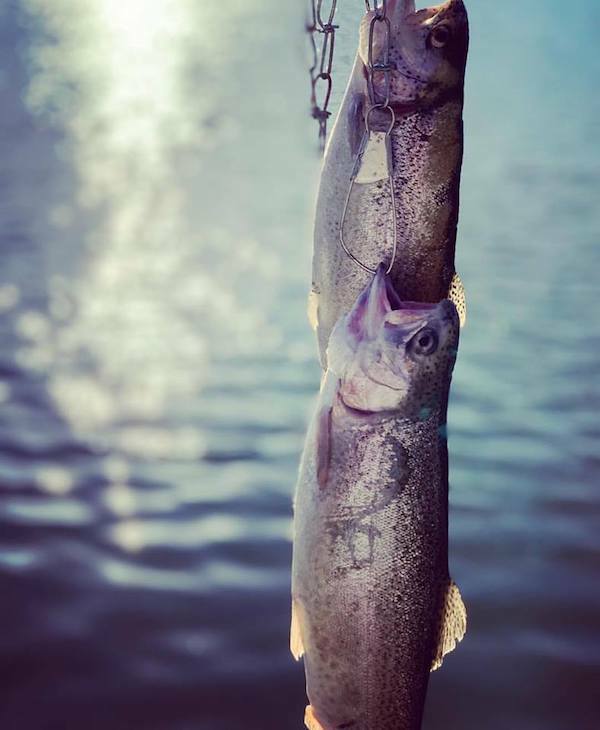 The Trout bite has been hot this week. There have been many reports of fish being caught on mouse-tails. Popular spots this week have been the southeast and northeast corner ofd Lake 3. The Bass bite has picked up recently with the recent change in water temps. The bass have been biting on swimbaqes in the late afternoon and evening hours. Popular spots for bass include the east side of Lake 1 and the west side of Lake 3. 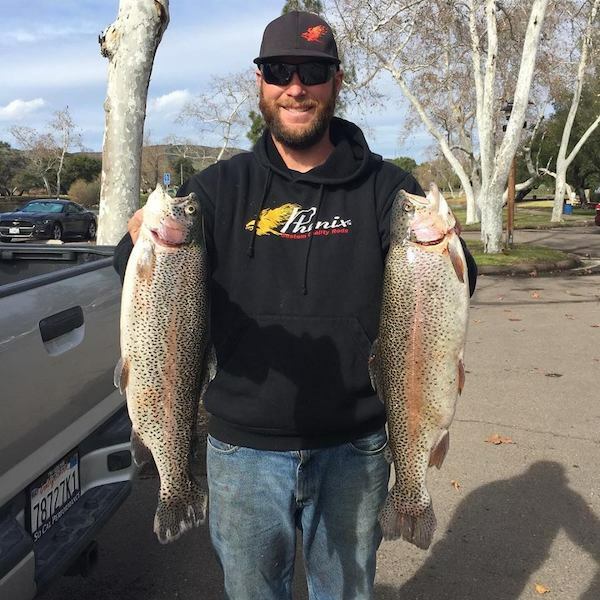 Although it is the end of trout season fisherman are still catching their limit of trout. Popular baits this week have been mouse-tails and mini jigs. 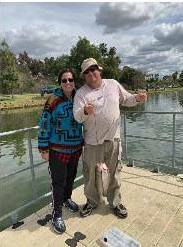 Stephen and Monica caught these trout out of Lake 3 on a mouse-tail.